Centennial was formed in 2001, from several unincorporated areas; including the Arapahoe County, former Castlewood and South Glenn CDPs (census-designated places). CDPs are populated areas that do not have municipal governments of their own (although they operate in the same way that incorporated places do). The majority of residential properties in Centennial are single family homes (79.6%) and condominiums represent 16.2% of the total inventory. The average house is 1,865 square feet and the average year of a home built in the city is 1979. The median home value in Centennial is $297,100. Local home values have increased by 6.4% over the past 12 months. Estimates for future growth is predicted to be another 1.5% within the next year. Centennial’s median list price per square foot is currently $177. This is higher than the Denver Metro average of $175 at this time. The median listed price of Centennial homes comes in at $334,900. The median price of homes that sold is $283,700. That means there is room to grow in this market. Home prices have remained constant even as sales figures continue to fluctuate through the years. Check out the selections on the MLS and take a few open house tours as there are numerous properties in stunning Centennial. Discovering a great property at the correct price may be achieved with the help of Lamp Light Real Estate. Inventory becomes available through the MLS (Multiple Listing Service) and this is how many people track local sales. 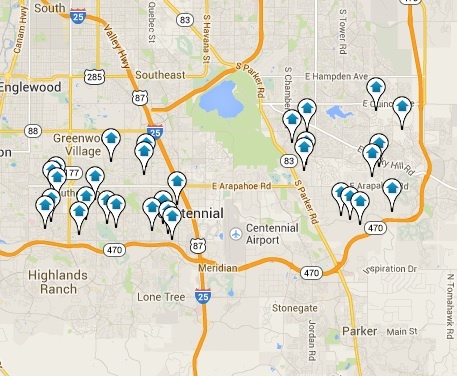 The City of Centennial has all the amenities needed by families in search of a great lifestyle.